I have a love/hate relationship with the Metal Gear series; I loved Metal Gear Solid, and I hated every other game in the series. That's not true. I haven't played all of them, and I also love Metal Gear Rising: Revengeance, a game whose gameplay is so out of place with the rest of the series as to not include it in the same breath. The point is that I feel Metal Gear Solid struck a perfect balance between excellent gameplay and over-indulgent creator nonsense that the other games in the series did not. I didn't get excited for Metal Gear Solid V when it was announced as two games, didn't get excited when it reviewed well, and really paid it no notice until it was selected as Giant Bomb's #2 game of the year. I always buy their game of the year, but I don't have a WiiU, so I deferred to the number two choice. I set my prejudices aside for a moment, and jumped into Metal Gear Solid V: The Phantom Pain. You are codename Punished "Venom" Snake, the legendary Big Boss, and it's 1984. Your Mother Base has been destroyed, your forces killed, and you've been hospitalized from critical injuries you received in the escape. 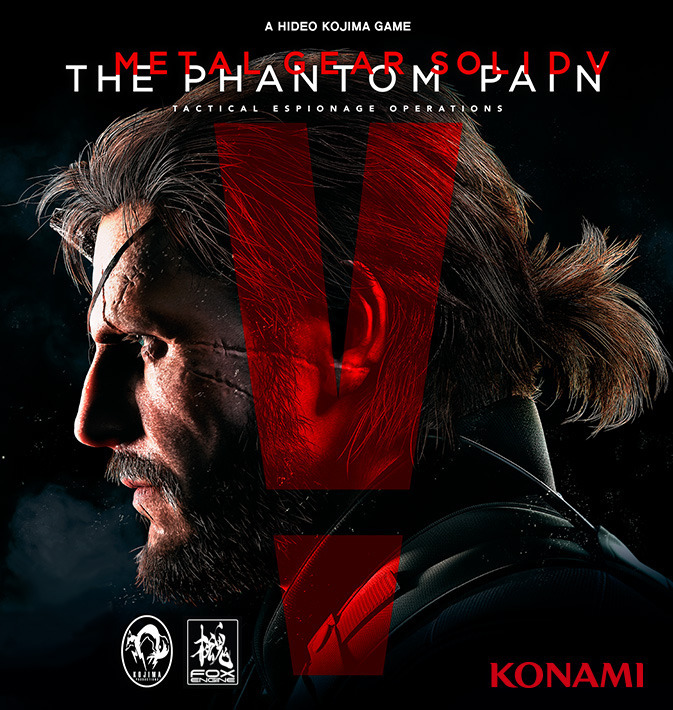 After an explosive wake up, you're reunited with your lieutenants, Ocelot and Miller, and start about the task of rebuilding your private army (the Diamond Dogs), and tearing apart Afghanistan and the Angola-Zaire border in your search for the man who nearly killed you, Skull Face, to exact your revenge. MGSV has a lot of interconnected systems in it, but for the sake of the "micro" in microreview, let's focus on the core gameplay loop. Storyline missions are broken into episodes. Each one starts you at one point in the open world map, and gives you an objective or two. How you achieve those objectives, such as eliminating an enemy commander or rescuing a POW, is up to you. At your disposal are a huge number of weapons (lethal and non-lethal) and utility items, ranging from the standard Metal Gear cardboard box, to inflatable decoys and smoke grenades that can summon your attack helicopter and fire support team. What works so well in these missions is that they encourage stealth and doing things quietly, but if you screw it up and have to shoot your way out, it doesn't really punish you in the way other Metal Gear games will. There are a ton of tools at your disposal. You can, should, and will need to use them all. The sheer variety of missions and objectives and ways to accomplish them means MGSV rarely feels repetitive, arbitrary, or boring. Sometimes I was carefully scoping out enemy positions, creeping through their defenses, and quickly slipping out, POW in a fireman's carry, without a trace. Sometimes I would try to be sneaky, fail, and finish my objectives only after killing every single person in the area. In one mission, I was having trouble sneaking in, so I shot a rocket at an enemy position. It created a diversion, so while they were all facing in the direction of where I shot the rocket from, I was able to sneak around behind them, and finish the mission. With the exception of the very noisy rocket, I was neither seen nor heard. There is a lot more going on, including side ops (side quests in other games), buddies and their relationships to you, base building, online mission dispatches, item and weapon research, and regular open world exploration and collectible finding. It's all great and none of it is jammed down your throat too fast. In fact, I'd estimate a solid 1/3 of the game is a steady tutorial ramping up to having all of your systems online and moving. What doesn't work so hot is the story. It's less nonsense than some Metal Gears, but the conclusion is extremely underwhelming. It feels cut off, like the development team suddenly ran out of time or money or both. It leaves a lot of loose ends that aren't remotely addressed by the next game in the series timeline, which would be the original Metal Gear. It does one thing right at the end, but a dozen different things wrong. I went into MGSV extremely skeptical, and was absolutely engrossed by it. It's hard for me not to be effusive about it. I just enjoyed this game so, so much. If I had played it earlier, it would've easily been one of my favorite games of 2015. Not quite good enough to unseat The Witcher 3, but it's excellent and they do have a lot of similarities. It's good enough to make me want to revisit those previous Metal Gear games that I didn't put a lot of time into. It's a real shame that Hideo Kojima has parted ways with Konami, and thus the Metal Gear series. The series may be at a functional end, but it went out on an extremely high note. Side note: If you're likewise not a huge Metal Gear fan and not willing to jump headfirst into the full The Phantom Pain, check out Metal Gear Solid V: Ground Zeroes. It is more-or-less a demo for that excellent core gameplay loop, and it's a quarter of the price of the full game. Yes, it's a paid demo, but it contains an area not seen within The Phantom Pain, gives some backstory to the full product, and offers some items to carry over.